It is made by a reliable manufacturer. The size is just right. If you need it with a different size, I think I will purchase it. This review is about item#7114816. I bought it to loosen the R hub of the bicycle. It was very good. This review is about item#7114791. It is safe KTC. Accuracy and strength are made by KTC of fossil, sockets and handles are aligned with KTC. This review is about item#7114746. 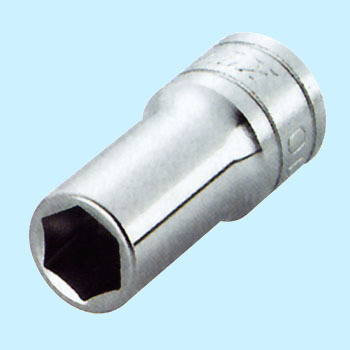 I always used KTC for socket wrench. This review is about item#07114694. I think that it made a very good shopping that seems to be a maker item to running water, so comfortable to use it is very comfortable. This review is about item#07114721.